I stumbled upon these products while at Target a few weeks ago. Since I’ve become pregnant, my patience for cooking has grown short. Sure, I’m enjoying some of my favorite foods again (finally! ), but I still prefer eating already prepared food/take out most of the time. So, I’ve started searching for quick items that I like and can stock in the freezer once baby comes. While I love the idea of being supermama with homemade frozen meals ready at the go, I’m also realistic enough to know that’s likely not going to happen all the time. I swear I have no affiliation to ThredUp, even though I’ve been pushing them to just about everyone I know lately. This concept is amazing and I’ve already sent in two bags and purchased several items for myself and baby Lenz. It’s consignment shopping without having to leave your home or be at the mercy of whatever’s in your local shop. Ever since listening to this podcast and watching this documentary on the true cost of fashion, I’ve become much more conscientious in my purchasing habits, especially when it comes to clothes. Especially when it comes to maternity and now baby clothes. I hate the idea of spending tons of money on items that will only get few wears, so I’ve been focusing most of my efforts in this second-hand style. I’ve purchased quite a few maternity dresses and stocked up a good amount of baby clothes for a fraction of what’s available at the store. You can also sell your clothes! While they didn’t take as many items from my bags as I would have liked, they recycle all of the clothes they don’t want in a responsible manner. I really, really love this company. I downloaded this book on a whim while home sick one day as I’m a big fan of Dr. Barnard’s work. I feel like I’m the perfect candidate for this book. I don’t love the amount of dairy that I consume (especially in cheese form) but I also can’t stop. The times I’ve tried to give up cheese have been the hardest and I always break, usually in the form of extra cheesy pizza or creamy goat cheese on my salads. While I don’t think I’ll give up cheese forever, so many of the concepts in this book hit home for me. I know that dairy effects my stomach, my skin and my energy levels. 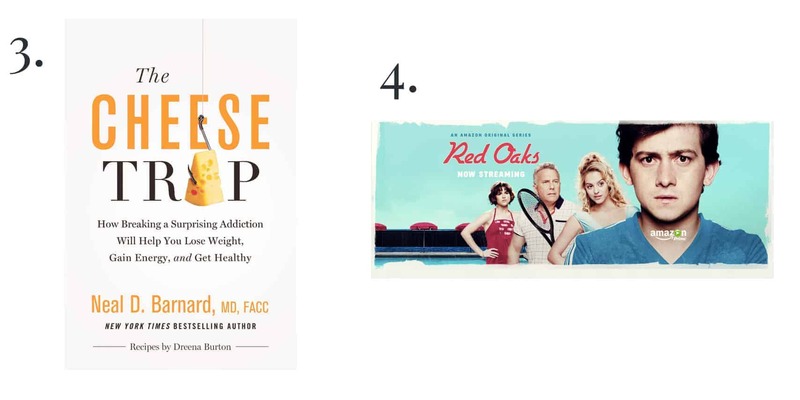 Though I may be a walking contradiction to keep eating it, I really enjoyed Dr. Barnard’s thoughtful premise behind the addiction of cheese, ways to reduce or eliminate it, plus several tasty recipes. I’ve mentioned this several times over the last few months, but I spent the majority of the first trimester on the couch. My energy levels have plummeted and while I normally try and use some evenings to catch up on work, that ship has now completely sailed. By 7PM, I’ve already had dinner and am usually napping on the couch or catching up on a favorite TV show before bed. We started Red Oaks last month and oh my goodness, it’s funny. So funny. We ended up binge watching the first two seasons over the next couple of weeks, which made for really enjoyable evenings. It’s a more comic/satirical take on 80’s classic movies, and one of my favorite shows of all time, The Wonder Years. If you’re in the mood for funny, witty and simple, try this show. This series has been around for a while, but I only recently discovered it after descending into the rabbit hole of my news feed. I really like the premise: a behind-the-scenes look of how some of today’s top businesses started out. 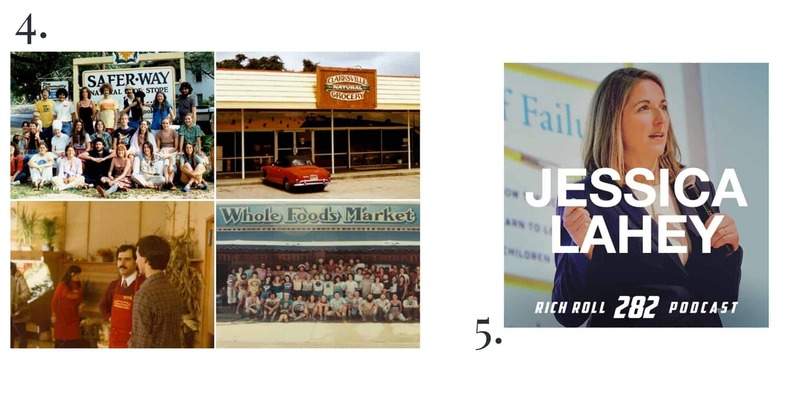 They all contain interviews with the founders and influential people that helped move these companies from small mom-and-pop set-ups to successful empires. I loved the ones on Whole Foods, Under Armour and Ben & Jerry’s most. I’m a podcast junkie, as I’ve shared several times before. They’ve become my go-to source for entertainment, whether I’m walking, driving or cooking in the kitchen. The Rich Roll podcast was one of the first that I became hooked on and I really look forward to his guests every week. This interview with Jessica Lahey is one of the best that I’ve heard. Perhaps it’s the current stage of life that I’m in, but everything that she discussed resonated so deeply. I’ve yet to read her book of the same title, but I dowloaded a copy for our trip this week to read on the plane. Parents or not, I think almost everyone can relate to her story and message. 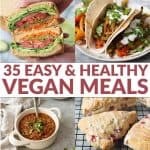 For a non-vegan, I have a ton of vegan cookbooks. I think it’s because they inspire me so much more than traditional cookbooks. To me, vegan cookbooks are inventive, with outside-the-box thinking. It’s easier to create a recipe with ‘traditional/usual’ ingredients than it is to transform plants into common meals. America’s Test Kitchen does this so beautifully, I’ve already bought copies for my mom, sisters and a few friends. I love that every recipe starts out with a “Why This Works” introduction and lessons from their failures. 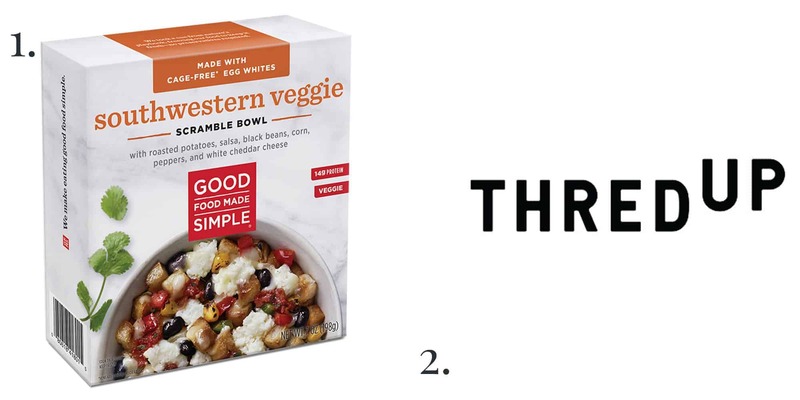 I’ve already picked up a few tips that I’ve put into practice: using oat milk in baking to help brown goods, choosing soft tofu for egg scrambles (I always went with firm) and making your own vegetable broth paste to keep in the freezer. If you’re interested in adding more meat-less meals into your diet, this cookbook is a home-run choice. I’d seen these background boards for years from other bloggers, but always thought they were too expensive to grab for myself. BL made me a few DIY wooden boards years ago and while I’ve loved them, they are also beginning to show their age. So, I decided to bite the bullet and purchase a few backgrounds from Erickson Woodworks and man, it might be one of the best decisions I’ve made. The quality is amazing, the finishes are beautiful and I’ve noticed a huge difference in the few projects I’ve since used them with. I know they are a little pricey, but if you are a fellow food blogger and are looking to switch up your background game, try these. I can’t get over the premise of this book, it’s just so perfect and I think will hit home with a lot of you. While the book is packed with recipes, it’s more of a guide to empowered cooking. Showing you a base template, infinite flavor possibilities and a few recipes to showcase different styles. It’s the perfect book to improve your kitchen confidence while featuring delicious, healthy meals. 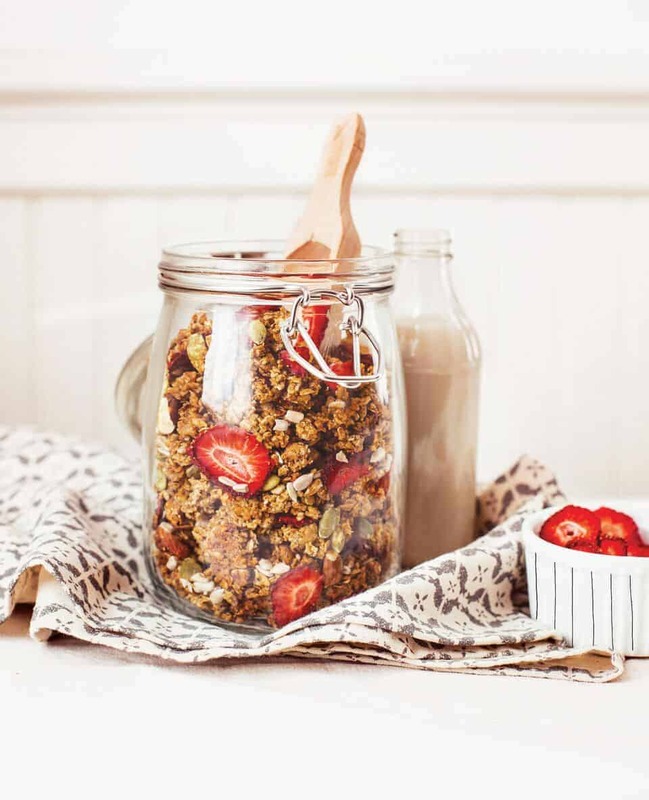 For example, the breakfast chapter features a base template on how to make perfect gluten-free granola, along with ideas for crunch, nuts & seeds, sweeteners, oils, additional flavors and finishing touches. From there, you are inspired to create hundreds of different recipes off this one concept. I love Heather’s creative spin on these templates, especially the Earl Grey & Strawberry Granola version. If you follow me on Instagram stories, you know that this is one of the first recipes I made from the book. 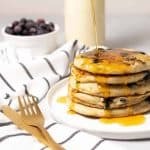 It’s a unique recipe that’s perfect for breakfast or snack, especially paired with yogurt and fresh sliced berries. Enjoy the full recipe below! Preheat the oven to 300°F (150°C). In a large bowl, combine the oats, honey, almonds, sunflower seeds, pepitas, olive oil, tea, zest, and salt. Spread the mixture on a rimmed baking sheet in an even layer roughly 1⁄4 inch (6 mm) thick. Give it a light press and bake for 35 to 40 minutes,stirring every 10 minutes, until toasty, golden brown. Once cooled, transfer the granola to a large bowl and break apart;fold in the strawberries. Store in an airtight container in the pantry or fridge for 4 to 8 weeks.